Devenish Lawyers aims to provide advice and personalised high quality legal services to our clients quickly, efficiently and at a reasonable charge. We pride ourselves on establishing and promoting regular solicitor/client contact to ensure that our solicitors understand each client’s particulars needs. 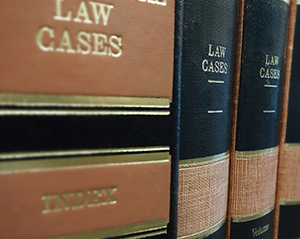 Our solicitors understand and recognise that being involved in a legal dispute can be a distressing time and we are dedicated to making the process as simple as possible. Our solicitors and staff have the expertise, dedication and the interest to meet the needs of the community. No issue is too large or too small and all our clients are treated with equal importance and care, no matter what issues are involved. 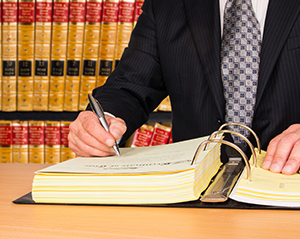 Any of the solicitors will be happy to discuss the range of services offered by the firm. Please telephone or email for further information..
You and Kerry have done such an efficent job, that it has been a very painless exercise. Your advice has been timely and beneficial, and your methodical approach is very comforting. If you would like me to give a verbal recommendation to any prospective client, in the future, it would give me great pleasure to assist. Suffice to say, that you were able to achieve so much, for a very reasonable charge, and for that I am very grateful. Thank you John, for your wonderful work in relation to the above named estate. “I would also like to take this opportunity to thank you for all your work and professionalism regarding dad’s estate, it has certainly made life easier for myself in what has been difficult circumstances”. “Just a quick note of thanks for all your help. Funny that we haven’t met in person considering all you have done. I do very much appreciate the empathy you have shown. It would be much easier on you I am sure to be cold and dispassionate”. “Just writing to thank you both and Devenish for the legal work pro bono you executed on our behalf and your helpful discussions. Sorry it has taken so long to show appreciation but I felt it for some time. Thank you once again. I am sure your good services shall be needed in the future”. “Sorry to have been such a pain. I have an offer on my house – which is looking good. Many thanks for your hard work”. “Once again, thank you for your time and effort in assisting me with my settlement etc. Your guidance, understanding and professional attitude were greatly appreciated. You enabled me to get through an extremely traumatic time in my life. My children and I will be forever grateful to you”. “I wish to take this opportunity to thank you for the prompt service”. “Thank you for all your help in administering my mother’s Will and estate. My sister and I have been very happy with all you have done to make it easier for us”.